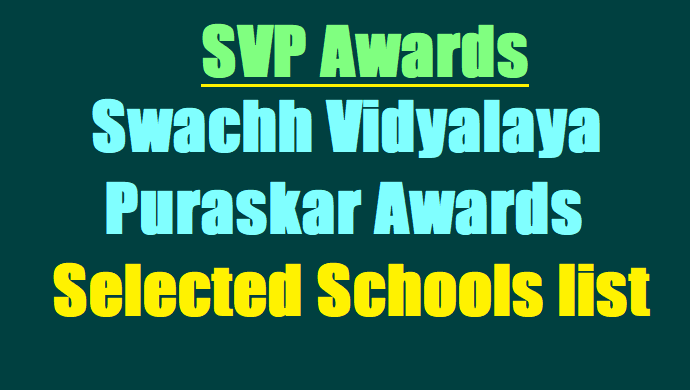 The attention of all the DEOs & EO DPOs of SSA in the State is invited to the subject and reference cited and it is informed that 37 schools are selected for State Level Swachh Vidyalaya Puraskar Awards 2016-17 (copy enclosed). Additional School Grant for Awardee Schools will be given @ Rs.10,000/- per School. In this regard it is informed that it is decided to conduct State Level Award Ceremony of Swachh Vidyalaya Puraskar on 08.09.2017 (on Teachers Day Celebration) for 37 schools at Ravindra Bharathi, Hyderabad. >br /> Therefore the District Educational Officers of concerned districts are hereby directed to relieve the concerned School Headmasters to attend the programme as per following schedule. The DEOs & EO DPOs of SSA of concerned districts are directed to pay the TA/DA & lodging charges as per APTA norms. Expenditure shall be met from the Management Cost of SSA of concerned Districts.